Law Web: Whether Advocate can give up one ground of sub letting for eviction without consent of his client? Whether Advocate can give up one ground of sub letting for eviction without consent of his client? Another ground which is agitated by the learned Counsel for the applicant is about induction of the respondent as a sub-tenant illegally. In fact, on careful perusal of the findings recorded by the Rent Controller, I find that the said ground of the applicant is accepted. The case of the applicant that the respondent is illegally inducted as a sub-tenant has been accepted by the Rent Controller. It appears that the District Court, relying upon the statement of the Advocate appearing for the applicant, observed that so far induction of respondent as sub tenant is illegal, has been given up by the applicant. In fact, it is specifically stated in the present revision application by the applicant that the Advocate who appeared for the applicant, was not instructed by the applicant to give up the said ground. I am of the considered opinion that the District Court should have asked the Advocate either to file affidavit of the applicant stating therein that the applicant is not pressing the said ground or at least the advocate's statement ought to have been recorded in presence of the applicant. Therefore, this Court is of the opinion that so far as the ground taken by the applicant that the respondent has been inducted illegally as sub tenant in the suit shop by original tenant Mr. Samb Madhavrao Patil and he is illegally in possession of the suit shop is concerned, it is required to be adjudicated afresh by the District Court. 1. Rule, returnable forthwith. By consent of the parties, taken up for final hearing. This revision application takes exception to the judgment and order passed by the Principal District Judge, Latur in Rent Appeal No. 10/2005 decided on 20th April, 20012. 2. Since the facts of the case are extensively stated in paragraphs 1 to 9 of the judgment of the District Court, the same are not repeated herein. As and when it is necessary to refer to the facts, same will be referred from the said paragraphs of the impugned judgment. 3. The revision applicant herein is the landlord and respondent is tenant. Upon perusal of the proceedings initiated before the Rent Controller, it appears that principally those proceedings for eviction of the respondent were initiated firstly, on the ground that the existing premises for the business are not sufficient and, therefore, the suit premises are required for bonafide need of the applicant-landlord, and also the same are required to start new business of his third son. Another ground on which eviction was sought is that the present respondent i.e. tenant has been illegally inducted as sub tenant in the suit shop by the original tenant Mr. Samb Madhavrao Patil and respondent is in illegal possession of the suit shop but, on account of referring the word "tenant" in respect of respondent in the body of the impugned judgment of the appellate Court, it gives a wrong signal that the respondent is tenant of the suit shop. In short, the second ground on which the eviction has been sought is that the respondent is not a tenant and he has been illegally inducted as sub-tenant. 4. The learned Counsel for the original applicant invited my attention to the ground taken in the revision application and in particular, ground Nos. (I) to (XII) and submitted that the District Court should not have concluded the issue of sub tenancy raised by the applicant merely relying upon the statement of the Advocate for the applicant that the said ground i.e. the respondent is illegally inducted as a sub tenant, has been given up by the applicant. It is submitted that the said ground is very important and when the Rent Controller has rendered the findings on said ground in favour of the applicant-landlord, question of giving up such ground would not arise. It is submitted that the Advocate who appeared for the applicant before the District Court was never instructed orally or in writing by the applicant to make such a statement before the District Court that the applicant is not pressing the ground of induction of the respondent as a sub tenant illegally. Therefore, the learned Counsel for the applicant submits that the District Court was not right in observing that since the said ground is given up by the landlord applicant, adjudication of the proceedings on the said ground is not necessary. 5. The learned Counsel for the applicant further submitted that so far as the bona fide requirement/need of the applicant is concerned, it was the contention of the applicant that the applicant is in possession of only one shop and there is no any other shop in his possession in Latur city. The shop admeasuring 10'x10', which is in possession of the applicant is not sufficient to run the business of stationery. It is submitted that the applicant and his two sons are running the business of stationery in 10'x10' shop which is not sufficient. Secondly, the suit premises are required for starting business of third son. Therefore, the learned Counsel for the applicant would contend that the District Court was not correct in holding that there is no bona fide requirement of the applicant landlord. 6. The learned Counsel for the applicant invited my attention to the reported judgment of the Supreme Court in case of Deep Chandra Juneja v. Lajwanti Kathuria [MANU/SC/2844/2008 : (2008) 8 SCC 497], and in particular, para 40 thereof and submitted that the Supreme Court has held that the landlord is the best judge of his requirement. It is submitted that in case of Ragavendra Kumar v. Firm Prem Machinery & Co. [MANU/SC/0010/2000 : (2000) 1 SCC 679] and in particular, para 10 thereof, and submitted that the Supreme Court has held that the landlord is the best judge of his requirement for residential or business purposes and has complete freedom in the matter. The learned Counsel for the applicant relying upon the exposition of the Supreme Court in case of Meenal Eknath Kshirsagar v. Traders and Agencies [MANU/SC/0022/1997 : (1996) 5 SCC 344], and in particular, para 15 thereof, would contend that availability of alternate accommodation irrespective of suitability is not a decisive factor in deciding the bona fide requirement of the landlord. The learned Counsel further pressed into service the exposition of the Supreme Court in case of Rajbir Kaur v. S. Chokosiri and Co. [MANU/SC/0453/1988 : AIR 1988 SC 1845], particularly para 22 thereof and submitted that in spite of deficiency in pleadings, parties knew the case and they proceeded to trial on those issues by producing evidence, in that event it would not be open to a party to raise the question of absence of pleadings in appeal. It is submitted that the pleadings should receive a liberal construction. In support of this contention, the learned Counsel relied on the judgment of Supreme Court in case of Ram Sarup Gupta v. Bishun Narain Inter College [MANU/SC/0043/1987 : AIR 1987 SC 1242], particularly, para 6 thereof. It is further submitted that the land the landlord's requirement for his own use includes the requirement for his sons. In support of his contention, the learned Counsel for the applicant pressed into service exposition of the Supreme Court in case of A.K. Jain v. Prem Kapoor [MANU/SC/7873/2008 : (2008) 8 SCC 593] and in particular, para 18 thereof. 7. Therefore, the learned Counsel for the applicant, relying upon the averments in the application, grounds taken therein, the provisions of the Hyderabad Houses (Rent, Eviction & Lease) Control Act, 1954 (for short, referred to as the Hyderabad Rent Act) and the judgments of the Supreme Court and other material placed on record, would contends that this revision application may be allowed. 8. On the other hand, the learned Counsel for the respondent/original tenant invited my attention to the findings recorded by the District Court. It is submitted that the District Court has correctly appreciated the evidence brought on record and held that the proceeding instituted by the applicant herein is as a member of joint family. It is submitted that in cross-examination of the applicant, he has categorically admitted that there are 21 shops of Ghante family. It is submitted that after institution of the proceedings before the Rent Controller, the brother of the applicant has let out two shops adjacent to the suit shop. It is submitted that the need of the suit premises for third son cannot be said to be a bona fide need in presenti. The learned Counsel for the respondent submitted that unless there is a business in presenti, in view of the provisions of the said Act, the landlord cannot seek eviction of the tenant. In support of this contention, the learned Counsel for the respondent pressed into service the judgments of this Court in case of Sanjaykumar s/o Govindlal Agrawal vs. Keshavlal s/o Banduchand Shah [2000 (0) BCI 128], in case of Govindrao Sadanand Tandle Deceased through his L.Rs. & Ors. vs. Babulal Parashram Patel deceased through his L.Rs. & ors. [2009 B.C.I. 292]. The learned Counsel submits that there is a limited scope in revision and re-appreciation of the evidence is not permissible in revisional jurisdiction. In support of her contention, the learned Counsel for the respondent pressed into service the exposition of the Supreme Court in case of Shaik Jaffar Shaik Mahmood vs. Mohd. Pasha Hakkani Saheb [MANU/SC/0396/1974 : 1975 (1) SCC 25]. She further submits that the judgment cited by the learned Counsel appearing for the applicant in case of A.K. Jain (supra) can be distinguished on facts. It is submitted that in the facts of the said case, there was specific provision for seeking decree of eviction of the tenant on the ground that premises are required for son of the landlord. The learned Counsel invited my attention to paras 17 and 18 of the said judgment and submitted that there is a specific provision under the Haryana Rent Act, 1973 for requirement of landlord's son and in the context of the said Act, the Supreme Court held that the accommodation of the son, his wife and their children is part of the landlord's personal necessity. The provisions of the Hyderabad Rent Act stand on different footings. Unless there is a business in presenti or there are no other premises available in the city, in that case only, eviction of the tenant can be sought on the ground of bona fide requirement of the landlord. It is submitted that so far as ground of sub-tenancy is concerned, the same was given up by the Advocate for the applicant and as a result, there is no adjudication of the said issue by the District Court and therefore, this Court may not interfere in the said issue in revisional jurisdiction. Therefore, the learned Counsel appearing for the respondent, relying upon the findings recorded by the District Court and other material placed on record and the judgments of this Court, cited supra, would submit that the civil revision application is devoid of any merits and the same may be rejected. 9. I have given careful consideration to the submissions of the learned Counsel for the parties. With their able assistance, perused the entire material placed on record including the grounds taken in the application, annexures thereto, the findings recorded by the Rent Controller and also the District Court and also the relevant material placed on record by way of filing paper book by the applicant and also the judgments of this Court as well as the Supreme Court, cited across the Bar by the learned Counsel for the parties. 10. The aforesaid provision contemplates that if the landlord is not occupying for purpose of a business which he is carrying on, a non-residential house in the city, town or village concerned which is his own or to the possession of which he is entitled, then only decree of eviction can be sought against the tenant and landlord can be put in possession of the premises. 9. ..., a plain reading of the said clause (iii) of sub section (3)(a) of the said Act, leaves no room for doubt in my mind that, in order to attract the applicability of that clause, the landlord must show that he was carrying on some business in presenti for which he did not have any accommodation by way of non residential premises available in his own right. That might happen when, for instance, the landlord is doing his business at his place of residence, or in non residential premises of which he is merely in permissive occupation and to the possession of which he is not entitled as of right. The words, 'which he is carrying on' clearly show that it is only when the landlord is carrying on business, but has no other non residential premises available for the same in his own right, that this clause becomes applicable, and the ground of ejectment laid down therein can be said to be made out. 11. In the facts of the present case, the ground taken by the applicant/landlord is that the suit premises are required by him to start business of his third son. That is the main ground taken in the present civil revision application it is stated that the suit premises are required to start business for applicant's third son. 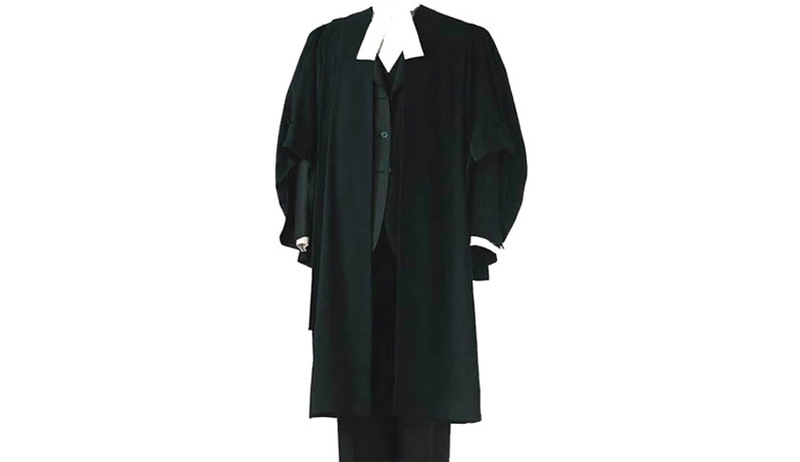 Though the learned Counsel for the applicant made an attempt to invite my attention to the statement in examination-in-chief of the applicant to contend that the applicant requires the suit shop for his business in presenti, which is run by him and his two sons; However, upon careful reading of the grounds taken in the application, there is no doubt that the principal ground canvassed by the applicant is that the suit premises are required to start business of applicant's third son. Therefore, so far as requirement of the applicant in respect of his third son is concerned, it cannot be said that the applicant is running the business in presenti. The provisions of the Hyderabad Rent Act are altogether different than Haryana Rent Act, of which provisions have been considered in case of A.K. Jain (supra). Upon reading paragraphs 17 and 18 of the said judgment of Supreme Court, it appears that the Honourable Supreme Court was considering the provisions of Section 13(3)(a)(ii) of the Haryana Rent Act and also the provisions of Section 13(3)(a)(i) of the said Act that deals with the situation where the landlord requires the tenanted premises for his own occupation and it does not attract Section 13(3)(a)(ii) that deals with the requirements of the son of the landlord. Therefore, in Haryana Rent Act, there is specific provision to seek decree of eviction on the ground of requirement of son of the landlord. 12. In the facts of the present case, the District Court has considered in detail the evidence brought on record by the parties. The District Court in para 23 of the impugned judgment, has observed that after the issue whether the landlord leased out two shop premises, one to Mr. Mundada and other to Mr. Agrawal, was referred to learned Rent Controller, Latur, the landlord tendered his evidence that he needs the suit shop for his third son, for whom he wants to set up the business. However, such new ground taken by the landlord is beyond the pleadings. The District Court has also taken note of the fact that the applicant and his family members, his brothers and other family members are residing jointly, that his family members require the suit shop for business but during the pendency of the appeal, his brother Mr. Mustafa has let out two shop premises, one to Mr. Mundada and other to Mr. Agrawal. As such, the landlord was aware that the requirement of the suit shop for the family members, for business, which he put up before the Rent Controller, Latur, would disappear or would not survive and, as such, he purposely tendered the evidence that he needs the suit shop for his third son, who wants to start the business. The District Court, in para 24 of the impugned judgment, has adverted to the cross-examination of the applicant and observed that in his cross-examination, he has admitted that there are about 21 shops in Ghante building in which the suit shop is located. All his brothers are joint and there is no partition of the said building amongst him and his brothers. He has deposed that he and his brother Mustafa are running the lodge at the first floor of the building. Sometimes, he looks after the accounts of the lodge and sometimes his brother Mustafa. He has deposed that his brother Mustafa was in possession of three shops and out of those three shops, his brother Mustafa let out two shops. He has deposed that the relations between him and his brother Mr. Mustafa are not good. In para 25, the District Court has observed that whether the suit shop is required by his brother, son, nephew or any other family member has not been discussed in main application. Since the applicant and his brothers have been staying jointly and he and his brother Mustafa, who let out two shop premises about 4-5 years back, have been jointly running the lodge at the first floor of the building and both of them are looking after the business of the lodge, it has to be inferred that the relations between the landlord and his brother Mustafa are good. 13. In order to ascertain whether the findings recorded by the District Court are perverse, I have perused the evidence of the applicant and in particular, his cross-examination and upon perusal of his cross-examination, there is no doubt that the findings recorded by the District Court are in consonance with the evidence brought on record. The District Court has also considered the other evidence brought on record and in para 27, held that the landlord has not specifically pleaded and stated that for whom, he requires the suit shop for business, whether the said family member has funds to start the business or has requisite business experience or the experience vis-à-vis the nature of the business, which he wants to start. It is also admitted by the applicant that when the proceedings were instituted before the Rent Controller, he filed the same proceedings as a member of joint family. Therefore, so far as the findings of facts recorded by the District Court in respect of bona fide requirement of the applicant-landlord is concerned, those are in consonance with the evidence brought on record. There is no perversity as such and therefore, there is no ground to interfere in the said findings. The District Court is the last fact finding Court and in revisional jurisdiction, it is not permissible for this Court to re-appreciate the evidence and more particularly, when the findings recorded by the District Court are not perverse, in any manner. 14. Another ground which is agitated by the learned Counsel for the applicant is about induction of the respondent as a sub-tenant illegally. In fact, on careful perusal of the findings recorded by the Rent Controller, I find that the said ground of the applicant is accepted. The case of the applicant that the respondent is illegally inducted as a sub-tenant has been accepted by the Rent Controller. It appears that the District Court, relying upon the statement of the Advocate appearing for the applicant, observed that so far induction of respondent as sub tenant is illegal, has been given up by the applicant. In fact, it is specifically stated in the present revision application by the applicant that the Advocate who appeared for the applicant, was not instructed by the applicant to give up the said ground. I am of the considered opinion that the District Court should have asked the Advocate either to file affidavit of the applicant stating therein that the applicant is not pressing the said ground or at least the advocate's statement ought to have been recorded in presence of the applicant. Therefore, this Court is of the opinion that so far as the ground taken by the applicant that the respondent has been inducted illegally as sub tenant in the suit shop by original tenant Mr. Samb Madhavrao Patil and he is illegally in possession of the suit shop is concerned, it is required to be adjudicated afresh by the District Court. 15. In the light of the discussion herein above, so far as the findings of facts recorded by the District in respect of "bona fide requirement" are concerned, the same are confirmed. However, so far as the applicant's case that the present respondent has been inducted illegally as sub tenant in the suit shop by original tenant Mr. Samb Madhavrao Patil and he is illegally in possession of the suit shop is concerned, the matter is remitted back to the District Court for fresh adjudication. Therefore, the District Court is directed to decide the aforesaid issue afresh after affording opportunity to the parties to lead evidence and put forth their contentions and then render findings thereon. Civil Revision Application is partly allowed. Rule is made absolute, accordingly.